Creativity is an independent art and craft supplies shop in Clifton, Bristol tucked away on a side street just off Whiteladies Rd. 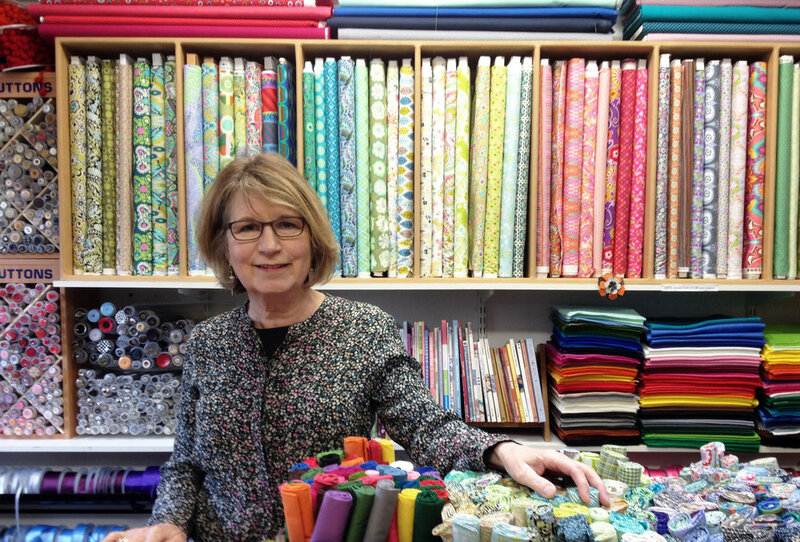 Pippa Swindells founded the shop 38 years ago and continues to run the shop today. She has a knack for being able to adapt to trends in the creative world and as a result stocks a diverse, ever changing range of products to meet the communities needs. Creativity stocks a huge range of different products and staff are always on hand to give advice and friendly service. New products are always arriving - please see our news page for details of the latest arrivals. Pippa in the fabric and ribbon room.